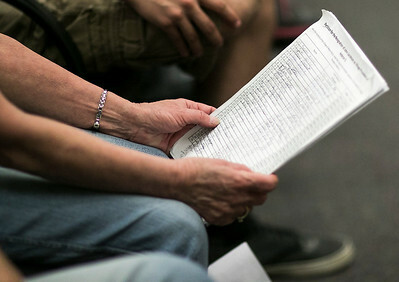 Sarah Nader- snader@shawmedia.com Inga Santoro of Hebron hands of a petition for the resignation of Hebron Village President John Jacobson during Monday's Village Board meeting in Hebron April 18, 2016. 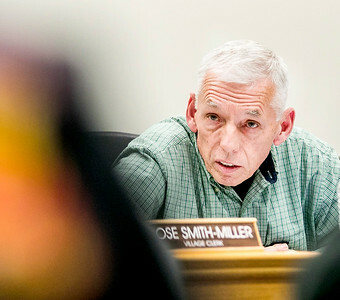 The board had their first meeting since Jacobson was arrested on drug and firearms charges after police found cocaine, drug paraphernalia and a shotgun and ammunition at his home after a March 17 incident. Sarah Nader- snader@shawmedia.com Hebron Village President John Jacobson listens to residents concerns during Monday's Village Board meeting in Hebron April 18, 2016. The board had their first meeting since Jacobson was arrested on drug and firearms charges after police found cocaine, drug paraphernalia and a shotgun and ammunition at his home after a March 17 incident. 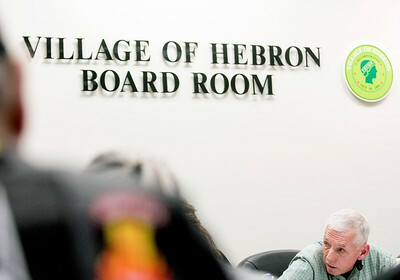 Sarah Nader- snader@shawmedia.com Inga Santoro of Hebron holds a petition for the resignation of Hebron Village President John Jacobson during Monday's Village Board meeting in Hebron April 18, 2016. The board had their first meeting since Jacobson was arrested on drug and firearms charges after police found cocaine, drug paraphernalia and a shotgun and ammunition at his home after a March 17 incident. Sarah Nader- snader@shawmedia.com Residents attend Monday's Village Board meeting in Hebron April 18, 2016. 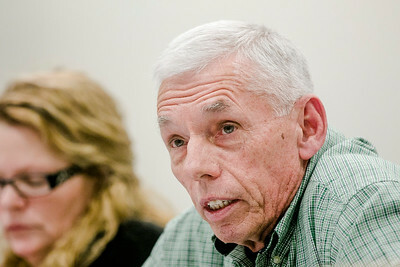 The board had their first meeting since John Jacobson was arrested on drug and firearms charges after police found cocaine, drug paraphernalia and a shotgun and ammunition at his home after a March 17 incident. Sarah Nader- snader@shawmedia.com Hebron Village President John Jacobson during Monday's Village Board meeting in Hebron April 18, 2016. The board had their first meeting since Jacobson was arrested on drug and firearms charges after police found cocaine, drug paraphernalia and a shotgun and ammunition at his home after a March 17 incident. 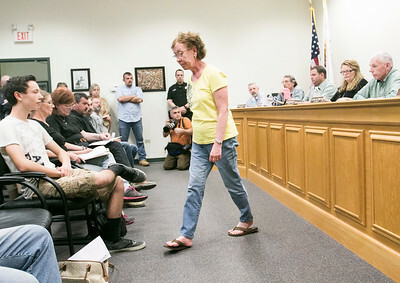 Inga Santoro of Hebron holds a petition for the resignation of Hebron Village President John Jacobson during Monday's Village Board meeting in Hebron April 18, 2016. The board had their first meeting since Jacobson was arrested on drug and firearms charges after police found cocaine, drug paraphernalia and a shotgun and ammunition at his home after a March 17 incident.